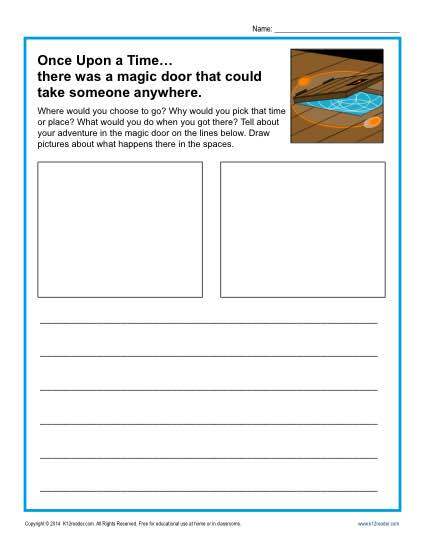 A writing prompt that takes you to magic places will have all your students on board with writing! This assignment will excite your kindergarten students and help develop writing skills. The prompt is aligned with Common Core writing standards.